Houston Police Department: Mini Job Fair at Fort Hood! 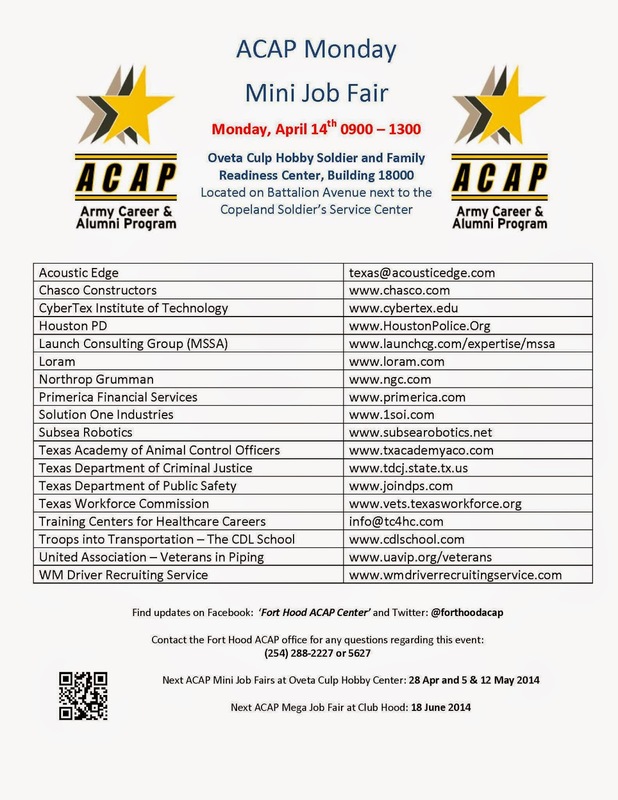 Mini Job Fair at Fort Hood! Senior Police Officer M. Slade is at Fort Hood right now until 1:30 pm. For more information about joining HPD, go to www.hpdcareer.com or call the Recruiting Division at 713-308-1300 or (800) 252-0473.